Blue Kangaroo is here to bring us yet another awesome prize! 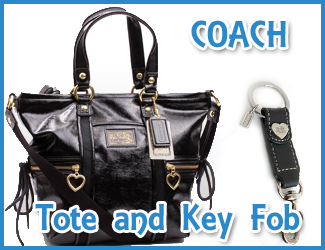 We are giving away yet another Coach handbag! Coach offers various collections and a wide selection of women’s designer purses, handbags, wallets, shoes and jewelry. Besides, you are going to need another bag to store all your cash in when you start saving at Blue Kangaroo! Blue Kangaroo is not just another deals site or pin and share site. Though we certainly offer deals and, yes, we have a layout similar to that other pinning site. But it is SO much more. Think of BlueRoo as your own personal shopper for the best deals on the web. They’re a free service that saves you lots of time while you save money. They’ll also keep your e-mail inbox from being cluttered with marketing e-mails. It’s a big job, but the Roo will filter through the entire deal universe – from major brand discounts and daily deal sites to all that other marketing junk in your personal email Just tell the Roo what you’re into, and we’re on the hunt. This isn’t required for the giveaway and the Roo is never “in” your e-mail. They just add a filter to make all the deals appear in their own folder. They put them all in one place for you to sort through when you want. No more inbox clutter! 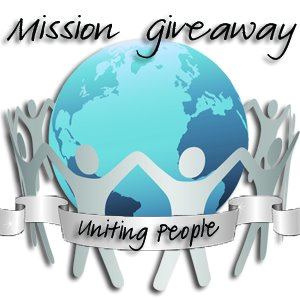 The winner will get to keep a prize and share a prize with someone else. The Giveaway will open up on 1/15 12:01 am EST and Close on 1/18 at 11:59 pm EST. Giveaway is open to the US only. 2) Once you sign up for Blue Kangaroo you do NOT have to give them access to your email. But, if you do then they filter all your “sale/deal/junk” emails. 3) Pick three deals and share them. You can click share to Facebook or twitter or email and it’s super easy. 4.) 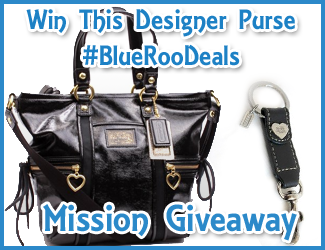 “Like” Blue Kangaroo on Facebook using the Rafflecopter form and you’re done! I would love to win the coach purse, its gorgeous! I’d love to add this Coach purse to my collection of purses that my husband rolls his eyes at. I love purses…thanks for a great giveaway! Thanks for the opportunity to win this! I would love to own a coach handbag! And to be able to give the coach key fob to someone is even better, I love sharing! Good Luck everyone!